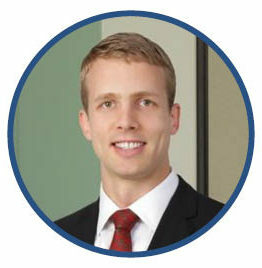 Jacob Clauson is Director of Compliance for Fidelity Charitable®, an independent public charity that has helped donors support more than 190,000 nonprofit organizations with nearly $19 billion in grants since its inception in 1991. The mission of Fidelity Charitable is to further the American tradition of philanthropy by providing programs that make charitable giving simple and effective. In his role, Mr. Clauson is responsible for ensuring the charity’s compliance with federal and state laws. Prior to joining Fidelity Charitable in 2014, he was an associate at the law firm of Caplin & Drysdale, Chartered, where he advised nonprofit organizations on a variety of legal issues, including qualification for tax-exempt status, governance and fundraising issues, and domestic- and international grantmaking. Prior to that, Mr. Clauson spent two years as a Tax Law Specialist and Presidential Management Fellow in the Exempt Organizations division of the Internal Revenue Service. He also worked at the Council on Foundations. Mr. Clauson received a bachelor of arts in journalism from the University of North Carolina at Chapel Hill in 2005 and a J.D. from UNC School of Law in 2010.